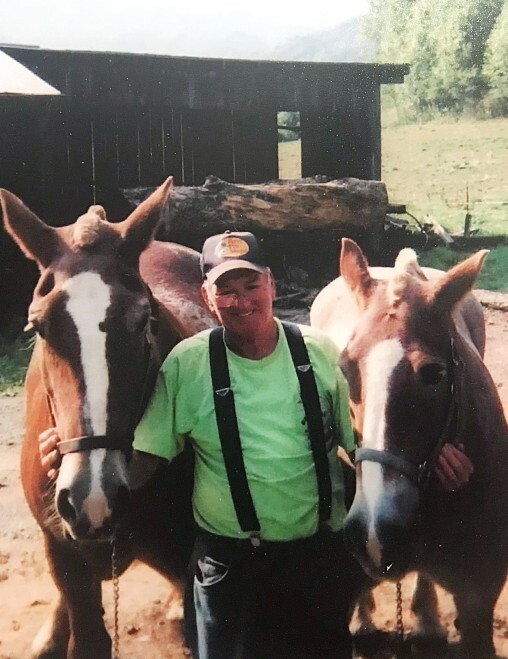 Charles Birchfield, Jr., age 81, of Buladean, went home to be with the Lord on Friday, October 26th, 2018 at his home surrounded by his loving family. A native of Mitchell County, he was a son of the late Charlie and Martha Putman Birchfield. He was also preceded in death by sisters: Doris Boone, Margie Wilson and Dora Rose and brothers: Bobby, F.D., G.W. and Leonard Birchfield. Charles was a member of Rock Creek Church of the Lord Jesus Christ. He loved to work with wood, making a career of it as owner and operator of Birchfield Log and Lumber. He was an avid farmer, who enjoyed growing gardens and liked to spend his free time fishing and camping. Charles will be remembered as a loving husband, father, grandfather and brother. Surviving is his loving wife of 61 years, Ruby Garland Birchfield; son, Wayne Birchfield and wife, Sharon, of Buladean and their daughters: Jessica Hobson and husband, Cecil, Jr., of Buladean and Megan and her fiancé', Mark Davis, of Burnsville; great-grandchildren: Sean, Tucker and Leanna Hobson; daughter, Gloria Clark and her husband, Troy, of Unicoi, TN and their daughters: Holly and Heather Clark of Unicoi, TN; sisters: Virgie Clark of Woodby Hill, TN and Hazel Watson and husband, James, of Spruce Pine and special friend and cousin, Bill Birchfield and wife, Carolyn, of Unicoi, TN. Several nieces, nephews and cousins also survive as well as his faithful canine companion, Weeman. Funeral services will be held at 1 p.m. on Sunday, October 28th in Rock Creek Church of the Lord Jesus Christ. Rev. G.B. Garland will officiate. Burial will follow in the Garland Cemetery in Buladean. The family will receive friends from 11 a.m. until 1 p.m. prior to the services at the church.